Vegeta X Bulma. . Wallpaper and background images in the 龙珠Z club tagged: dragon ball z dragon ball dbz anime vegeta bulma. This 龙珠Z photo might contain 动漫, 漫画书, 漫画, 卡通, and 漫画卡通. I think you should really put this in the Bulma and Vegeta club. 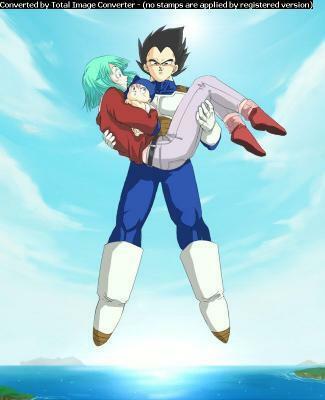 Oh yeah~ Vegeta rescuing her she is loving him.